When was the last time you had a check-up? Annual pap smears are important to check for HPV and to monitor the health of your cervix. With about 70% of the population carrying HPV (human papilloma virus), the chances are good that many of us will have to deal with an abnormal pap smear at some point. Getting an abnormal pap smear can feel very scary. Words like pre-cancer create a lot of anxiety and the proposed treatment – a LEEP procedure – can be uncomfortable and painful. We all know someone or have ourselves been through the worrisome wait for test results. And a diagnosis of HPV, with its widely publicized vaccine and the conversation around HPV leading to cervical cancer, can be upsetting, leaving your thoughts spiralling toward all the worst-case scenarios. An abnormal pap smear may be quite a common experience, but it doesn’t make it any easier to endure. As with everything to do with women’s health, I believe the key to avoid anxiety and panic is arming yourself with knowledge. The vast majority of abnormal pap smears show low grade cervical dysplasia or cervical abnormalities that do not lead directly to pre-cancer cells or a cancer diagnosis. Getting yourself checked-up and tested is important, but for most women an abnormal result should not be cause for alarm. The majority of cervix health issues are very treatable and you can feel confidant that the next time you have a check-up everything will be fine. In most cases, by boosting your immune system and taking the proper steps, you can have a clear pap smear in a matter of weeks. Yes, you can actually reverse your HPV diagnosis, treat it, and get rid of it. This means, once diagnosed, you can work to support your body, boost your immunity, and then, when you return to your OBGyn, the HPV will be gone. There are, of course, certain cases in which HPV and/or an abnormal pap smear can be more serious, so please work with your health care practitioner to assess your situation, and don’t be afraid to get second opinions. Getting regular pap smears is still the best way to maintain your cervical health. There is a difference between low grade cervical dysplasia and high grade cervical dysplasia. The following suggestions relate to low grade cervical displasia cases only. However, we want you to know that there are natural approaches to healing your cervix. Your body is remarkably resilient. With good nutrition and the right supplements your immune system could fight off an HPV infection and replace abnormal cells with healthy tissue. With a strong immune system, your body should be able to clear HPV by itself. A full 90% of HPV infections will clear in 2 years according to the World Health Organization, but most of us need to boost our immunity to make that happen quickly. I think it’s important that every woman know this is possible and that you can take a proactive position on your own health and well-being. Knowledge is power, the more you have at your fingertips the better. Plus, how can you know what is best for you and your body without all the information? The following natural remedies have been shown to help clear up HPV when the issue is caught early and cervical cell changes are minimal. Selenium – in a recent study, supplementation with selenium improved the cervical health of over 75% of women, over a period of 6 months. HPV is very common and often very treatable with these natural remedies. 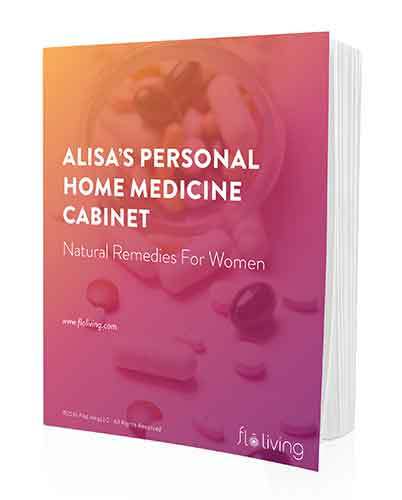 Other common women’s health issues – like UTIs, yeast infections, and bacterial vaginosis – are also avoidable and treatable with natural remedies. If you are very prone to UTIs and seem to get them all the time, I have developed a protocol that can stop this cycle in its tracks. FLO Living is committed to helping you understand the amazing natural healing options that are available to you, so that you can make knowledgeable, powerful choices about how to care for your body and your menstrual and sexual health. that drain your energy for 1-2 weeks every single month. In fact, you can start having a better period as soon as your next period. I had bad pap smears and was very close to cervical cancer.I had surgery to remove the section that had cancerous cells.What I find interesting is at the time I was on the birth control pill and I heard that it robs your body of b vitamins and mainly folic acid. After I got of the pill an started to take a multi vitamin containing a good supply of B vitamins I never had a problem since.That was when I was 19 and now I am 45. I do know some women that had the same problem and continued to have problems with bad pap smears but none would take my advice. I am truly convinced that if I had this information earlier I also could have prevented this. I hope this article helps some women avoid this issue. Thank you for sharing that, Kimberly. Wonderful work on finding the multivitamin and B Vitamins. We too hope this article will help many women! Consistent with DFS, the overall greenback quantity of unclaimed assets returned in the 2011 fiscal calendar year was $189,316,121. Almost 1 / 4 of that 24.4 % was claimed by using filings by skilled locators. Back on the museum’s primary education and learning website page, explore How Fish and Sharks Swim and realize About Fish Adaptation. So how exactly does a fish’s bodily characteristic relate to its consuming patterns, how it moves all around, and how it relates on the evolutionary tree to a different species? Thanks so much for writing in and sharing your story, Kimberly! And great insight into the pill and lack of b-vitamins. I am living this scenario right now. I dont understand why my doctor would keep me on both control knowing I have high-grade HPV and knowing it’s a risk for cancer. Well, guess who has cancer now. So unbelievable. Now I learn that o could’ve taken matters into my own hands with nutrition, supplements and ceasing the birth control and likely would have never had this issue. So frustrated with the medical community. How long did you take vitamin b for? Do we have to do all of the remedies? I was suffering from 10 huge warts on my hands which was very painful and frustrating at the same time. 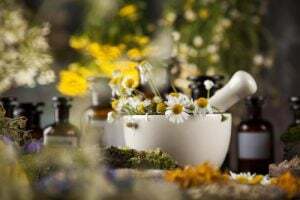 When it comes to medicine, I always believed in curing it through natural therapies as they have less chances of side effects and mainly coz their effect is permanent. I took freedom kit for genital HPV. It took some time for them to dissolve as they were huge in size but I could see them acting within 2 weeks. It really helped me and you all should try them as well if you have a similar problem. I received the first of far too many phone calls that started with “are you someplace you can talk?” . And, to be perfectly honest, I have grown to hate phone calls that start out like that. The nurse practitioner who had done my Pap and HPV test a couple of weeks earlier was calling with my results. Abnormal and Cervical HPV. At first I was thinking – Okay, this isn’t so bad. All of my friends have abnormal Paps all the time and it’s no big deal, right? Well, as the conversation continued my heart sunk as I was told that I had Cervical HPV. I’m not one of those girls. I’m not one of the promiscuous ones who should have an STD! The nurse practitioner assured me that it wasn’t a big deal, that everyone gets HPV at some point or another, and that it would just go away. Immediately following this news, I underwent treatment with Cervugid Ovules recommended by my gyn.First I took 3 boxes of Cervugid Ovules with break between them 7 days and after 6 months another 3 boxes. Hello excellent article! What brands would you recommend? Gaia Herbs and Traditional Medicinals are great! Is it ok to drink red clover with endometriosis? Based on my pathology report, my cervix is chronically inflamed and congested. I had to go through a 2-week doxycycline dose and a few silver nitrate treatments although doctor had no explanation why this was happening. I’ve never had any STDs or other pelvic infections, except the endometriosis diagnosis itself (and prolonged bleeding and other issues associated with this diagnosis). I am worried because we want to try to get pregnant and this is yet another thing complicating my health. Red Clover contains phytoestrogens – with endo I would steer clear. I have been suffering from genital warts for the past 3 weeks. And coz of tht I have been living in constant fear that it is spreadin. I guess most of my apprehensions are psychological but still I cant help but stress. I have started taking this multi vitamin called perfectil, drinking a lot of water, quit smoking and alcohol. I really hope this works. I have also started drinkin warm water with honey lime and turmeric empty stomach in the mornin. Please let me know if there is anythin else that I can do and if anyone knows how long is this gonna last. Is it ok to do any of these remedies while pregnant? My OB said that being that I’m pregnant they can’t do the loop procedure (to remove the part with the abnormal cells) and that my only options right now is to terminate the pregnancy to do the procedure, which is crazy to me that she would even suggest that. Or if the cells progress then maybe radiation, which I am not interested in. She says that cells go through 10 different steps before they can become cancerous, and mine are at the first. I am currently taking the Dr. Budwig mix daily (cottage cheese and flax oil). Just wanted to know if I can do any of the treatments suggested here while pregnant? I am so sorry to hear you are dealing with this! I recommend that you get a second and third opinion from other doctors, and try to find a more alternative one if you can. Please take good care of yourself. It is 100% guaranteed clean papsmear clear from dysplasia and hpv is gone. I have seen this work. I just got my pap result and the doctor is saying I have to do a cryosurgery. I want an alternative method. You know ive never been offered any of these procedures. They only offered a biopsy, i that the same aa a loop procedure. I was diagnosed with low-grade HPV when I went to my annual check-up in January this year. The doctor said that I should just wait until my body heals itself (before trying any intervention) and that I could contribute with my healing process with natural remedies. I will like to start taking these suplements you recommend, but I’m worried about the dosis. I don’t want to start taking these supplements like crazy and generate other problems. How do you suggest I take them? just looking for food that contains them? should I buy the supplements at the drugstore and take one of each every day? if not, what is the recommended amount/dosis per day/week/month? I just recently received a diagnosis of high-grade cervical dysplasia. Most of the supplements on the list I’ve been taking already for general well-being (I will add zinc). I realize the info pertains mainly to low-grade dysplasia, can you point me to any info on healing high-grade dysplasia, the idea of having a LEEP is traumatic to me and I want to avoid it. Thank you for your help. I there. Did you ever find any natural remedies to cure your high-grade cervical dysplasia? I too have been diagnosed and I’m trying to find an alternative to surgery which everyone seems to be pushing. I’ve heard a lot of good things about AHCC. My husband and I are taking it for 8 months to see if we can eradicate the HPV. However, I do want something for the fungus (dysplasia). I’m doing suppositories and supplements, IV therapy and acupuncture. Crossing my fingers I have better results with another doctor. I DID THE HYSTERTOMY(REMOVAL OF THE UTERUS) DUE TO CERVICAL DYSPLASIA AND ABNORMAL CELLS IN 2013. LAST WEEK I DID THE VAULT SMEAR STLL THE RESULTS CAME WITH ABNOMAL CELSS AND DYSPLASIA ,BUT IT WAS PANFUL AND I STARTED BLEEDING BUT IT STOPPED.THE DOCTOR BOOKED ME FOR THE GYNO AND IT IS IN JANUARY.ANY ADVICE TO USE MEANTIME WAITING FOR THE GYNO? Thank you for everyone’s input. I was told to do laser straight away with just gel and no aesthetics, I regret it before trying all of your methods. If you succeed in your fight, please bring awareness what worked for you. And if you’re a doctor reading this, who knows secrets we dont know, please be a hero and tell everyone! This is awful! I am new to this, but it was of great comfort reading all the posts of which some are very similar to my present situation.I had Lletz on the 15 of December,and still not fully recovered. I was told to return for another pap test in 6 months. Hoping for the best. A bit late to the party here, but would these remedies work similarly for cervical ectropion (no hpv)? I had mild success with a complex vit b supplement (before it gave me hives…) and now have to wait a few weeks before trying something else. I found this thread extremely helpful. I was recently diagnosed with HPV-16 positive CIN II & III. I was recommended an immediate LEEP procedure. I am really skeptical as I would like to try a natural approach, but am wondering if anyone has seen any positive recovery from CIN 2&3 without interventional therapy? I am hoping to get pregnant later this year, as well, and don’t want anything to adversely affect the pregnancy. Did you have any luck with natural remedies? My situation is very similar to yours, however I just had the LEEP procedure. I want to make sure I boost my immune system to keep the virus dormant. Ive been on natural supplements for years and it has helped my health alot. Recently i eent to my obgyn doctor and did a pap smear and the result is ; Hpv Mrna E/6 E/7 Detected. I recently had an abnormal pap my 1st one ever for atypical cells. I am 27 and I notice that you give a list of supplements to take. My doctor recommended I come in and get a biopsy and I would like to try the supplements prior to doing so. Can you give me some advice on the dosage/ mg on the supplements you have listed to maintain normal Pap smears. Can you please give me the mg of each? Thanks so much it would be greatly appreciated. I had an abnormal pap and had mild Hpv all I did was drink a lot of green tea hot green tea,lemon with honey. I no longer have abnormal paps. Cici, How long from the time of your diagnosis to the drinking of the green tea did you find out that the HPV had cleared? I have read that it can clear in 6 months or 2 years but I guess it all depends on the remedy used and the state of the individual’s immune system. I’ve been diagnosed with an adenocarcinoma of the cervix – so basically cervical cancer at stage 1b. I’m only 25 and two doctors have already recommended a hysterectomy! I want to have kids in the future, and other methods would be so expensive. Would going the herbal route and living healthier cure it? I too have been diagnosed with 1b1 and am 28. Hoping not to have to go the hysterectomy route. What are you deciding to do? Did you get any recommendations on natural based cures? Have you tried AHCC? 3 grams a day on an empty stomach. Chrisbeatcancer.com has a plethora of information regarding healing naturally. His info is based on a raw foods diet, supplements, exercise and spiritual healing. It’s a good place to get started. I’ve recently been diagnosed with cervical cancer 1a1 aw nd will be havu g a hysterectomy soon, but have also changed my diet to raw good, have been drinking a ton of green/black tea, earl gray blend is best, and practicing meditation to help with the stress. I’m glad i came across this article. My doc nurse left a voice mail staying thst my pap smear is normal but my hpv is positive and it’s not a concern she will see me in 1 year. I’m so scared and don’t know what to do. How is this possible? I have been diagonised with HPV16 . I am very heartbroken when i got to know it. I am also having abnormal cells CIN2/3. I am very devastated . Doctor told me to do a LEEP right away but i told the doctor i am not ready for it and i wish to know if there would be any other options which can be treatable then cutting of my cervix till i dont have any. I am trying for a baby but now i got al these health issues. Can anyone help me ? I am 35 years this year i feel so hopeless! I got my blood work back today and it said “detected” under high risk hpv, yet negative under the other two. My nurse practioner has not called back so I am here with you ladies, grateful I am not alone. Everyone looking for natural ways to treat this should go to this site. If there is a mailing list for information and newsletters and such please add me. My doctor just told me I’m HPV Postive, this is such a shock, he also stated my pap showed I had inflammation:( I don’t understand why and how. If I have to change my diet I will ! What should I do?